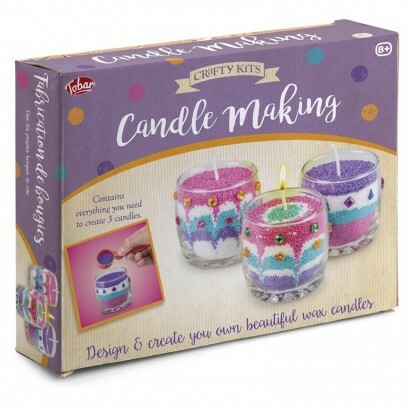 Everything you need to make your own customised wax candles, this candle making kit contains four cylinder glass votives and four pouches of colourful wax. 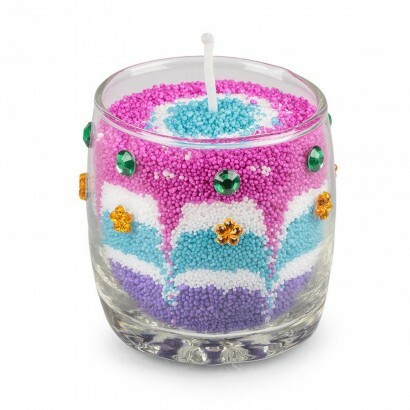 Arrange the wax in your own unique designs inside the votives layering up colours and finish with stick on gems and a wick to light the candle. 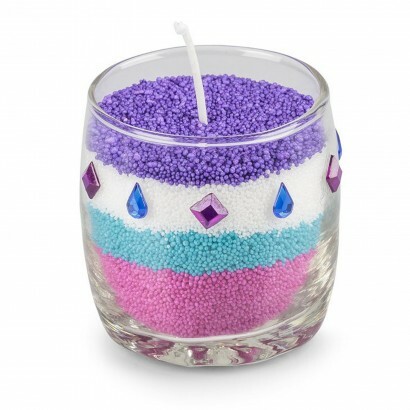 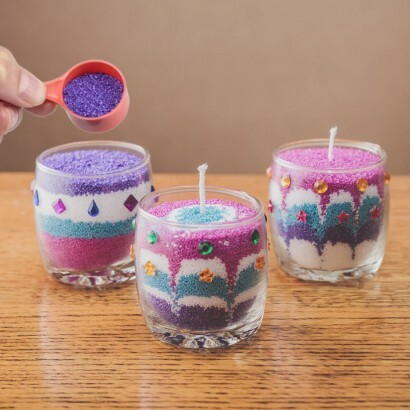 Kids and adults alike will enjoy getting creative with the colourful wax granules that can form stunning individual effects for beautifully decorative wax candles. 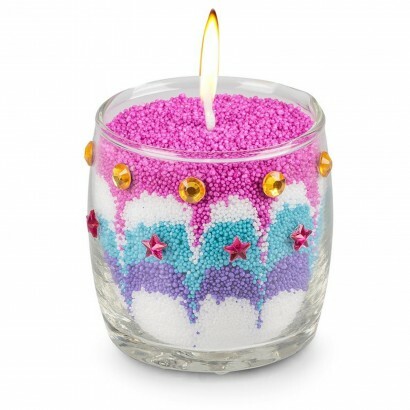 Layer up for stunning effects!